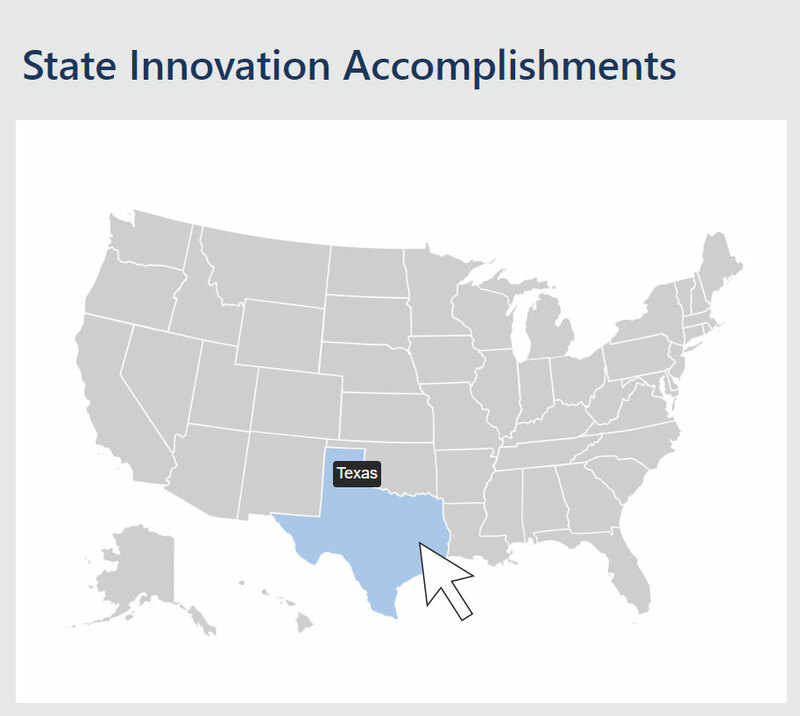 Use the Center for Accelerating Innovation’s (CAI) State Innovation Accomplishments map to learn how transportation agencies across the country are advancing innovative technologies and practices. CAI will continue to update this living resource with more success stories as States deploy innovations in Every Day Counts round five (EDC-5) in 2019 and 2020. For information on EDC-5 and other CAI programs, contact the CAI team. In the past year, leaders of 22 State transportation departments met with the safe transportation for every pedestrian (STEP) team to develop policy, planning, design, and programmatic recommendations to improve safety at uncontrolled crossing locations. Based on the recommendations, the agencies developed action plans to advance implementation of STEP countermeasures. The STEP team reports that most action plans included recommendations on an overarching safety policy, facility design manual updates, and training. The plans also recommended steps to prioritize and select countermeasures to reduce pedestrian crashes at uncontrolled locations with marked crosswalks, as well as cost-effective strategies to implement pedestrian improvements such as road diets as part of resurfacing projects. For information, read “STEP, States Develop Action Plans for Pedestrian Safety at Uncontrolled Crossings” in the Safety Compass newsletter or contact Becky Crowe of the FHWA Office of Safety. The Virginia Department of Transportation (VDOT) used STIC Incentive funds on a project to reduce collisions and connect wildlife habitats. The project included construction of fencing along stretches of Interstate 64 near Charlottesville to guide deer and other wildlife to two underpasses and prevent them from crossing the highway. Before the fencing was installed, an average of 7.5 deer-vehicle collisions a year occurred along the 1-mile interstate segments. Since the installations were completed in February 2017 and January 2018, one deer collision has occurred and use of the underpasses by deer and other wildlife has increased significantly. The project set the standard for design and placement of wildlife fencing along existing underpasses in Virginia, and VDOT plans to identify other suitable locations. A VDOT video explains the project. For information, contact Bridget Donaldson of the Virginia Transportation Research Council. Every Day Counts, a State-based program of the Federal Highway Administration’s Center for Accelerating Innovation, works with State, local, and private sector partners to encourage the adoption of proven technologies and innovations to shorten and enhance project delivery.